Anti-Aging Cellular Therapy for a radiant and perfected complexion. 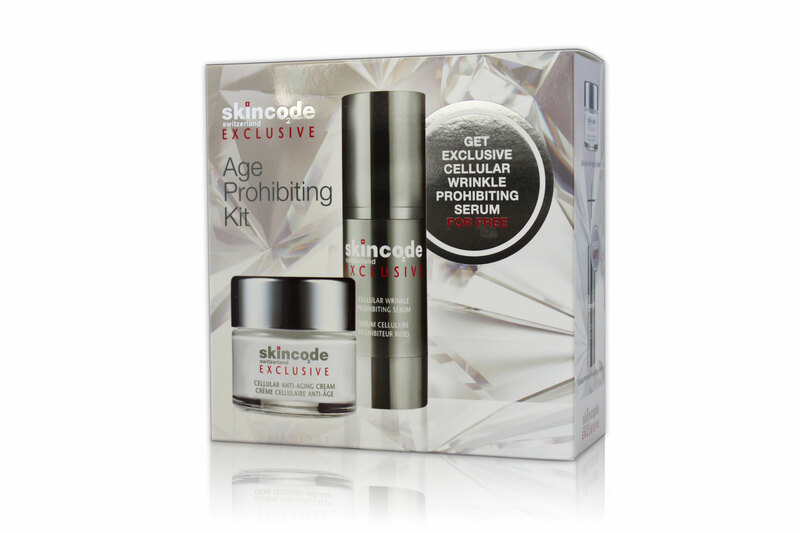 This kit contains the Exclusive Cellular Anti-Aging Cream and your free gift, the Cellular Wrinkle Prohibiting Serum. Cellular Anti-Aging Cream: This exceptionally nourishing, moisturizing cream is enriched with DermaxylTM , which helps to stimulate the synthesis of collagen in the deep layers of the skin and provides an intense level of hydration. 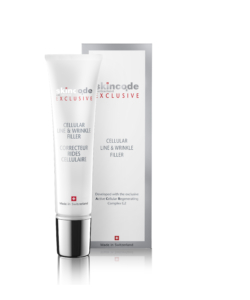 Cellular Wrinkle Prohibiting Serum: This serum, with its Wrinkle Reducing Complex is designed to reduce existing wrinkles by smoothing out the skin. Enriched with ACR G2, the formula also works to rejuvenate the skin at a cellular level whilst photo-reflectors will instantly illuminate your complexion. Cellular Anti-Aging Cream: ACR Complex G2, DermaxylTM, Vitamin C & E, St. John’s Wort, Shea butter. Cellular Wrinkle Prohibiting Serum: ACR Complex G2, Wrinkle Reducing Complex, Ginseng extract, Hyaluronic acid. Cellular Anti-Aging Cream: Morning and night, apply on clean face and neck after using a Skincode serum. 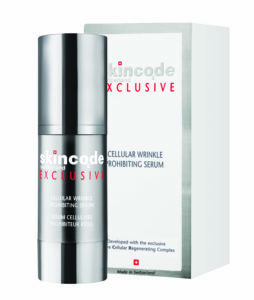 Cellular Wrinkle Prohibiting Serum: Morning and night, apply on a clean face and neck. Avoid contact with the eye area. Follow with your Skincode moisturizer.